While most of us would be in agreement that worship is a proclamation of the character and work of God in word and deed, we all practice worship in different ways. Some do it through acts of service like missions and evangelism, some apply it best through music, others through a life of prayer unto God. These are all valid ways of worship, and the Penang House of Prayer is well-known in developing a holistic approach to worship among Christians. Penang House of Worship (PENHOP) was founded on the desire to see a culture of integrated prayer and worship established in the heart of the region, working with local churches through short-term and long-term partnerships. The partnerships focuses on strengthening existing prayer meetings and ministries, providing training for worship and prayer teams, teaching and preaching to stir hunger and desire for God’s presence, and organizing worship and prayer events to inspire both young and old unto deeper intimacy with God. Last weekend, Kajang Assembly of God was blessed with the visit of Josh Yeoh and his team in a 3-days intensive worship workshop and celebration. PENHOP’s events are divided into 3 groups but they all come under the same overarching vision. The main group is the Weekends with PENHOP, a condensed intensive introduction to PENHOP and the Prayer Movement over one weekend. It is designed to inspire believers to a deeper lifestyle of prayer and to build “resting places” of prayer within churches, cities, and nations. Besides the Weekend, PENHOP also held a Harp and Bowl Intensive one-day training workshop in KAOG. Harp and Bowl takes its context from Revelation 5:8, in which there is described a model of combining worship (the Harp) with prayer (the Bowl). The participants were equipped to understand the why and how behind this model. Pastor Josh Yeoh leading worship. God manifested His presence very strongly in both Worship Nights on Friday and Saturday, as Pr Josh brought the church into worship. God’s closeness and of peace were very tangible. There was great hunger and desire for God’s presence throughout the hall and the hours flew fast. Many people want to love God, he shared, but they are obstructed by a sense of having to perform. Somehow they feel that they don’t measure up. There is always someone more spiritual or more gifted or more accomplished. But God is a Great Equalizer. He loves all His children equally, and in order to love God, we must experience intimacy with Him and His love in our hearts. We must draw near to God, Pr Josh said as he invited the church to come into worship. Part of PENHOP’s ministry is in inter-generational discipleship. Sharing on Sunday, Pr Josh communicated that it is extremely important that the Church continue to build up an inter-generational discipleship. One of the saddest thing affecting the Church today, he expressed, is the dwindling number of Christians in many parts of the world, even in countries like South Korea, once a beacon of God to the nations. Pastor Josh Yeoh sharing in the Sunday service. Psalm 22:30-31 is a vision that we must hold on, he imparted. In the Psalm, a declaration is given unto God that the future generations, even those yet unborn will hear about the wonders of the Lord. Unlike the wicked judge in the Parable of the Persistent Widow/Wicked Judge, God is accessible to us and He listens to our prayer. Though it is not immediate, one day Christ will return. There will not be a complete true justice, however, until He returns, and before that, the Church may have to go through difficult days ahead. Would Christ find us faithful to Him when He returns? For Christians today, Galatians 4:4 serve as a great reminder of the faithfulness of God. We are reminded that when the time came, God gave up his own Son so that Christ could buy our freedom, and so that He could adopt us as His own children. Now we’re no longer a slave to the Law and our own fleshly passions. 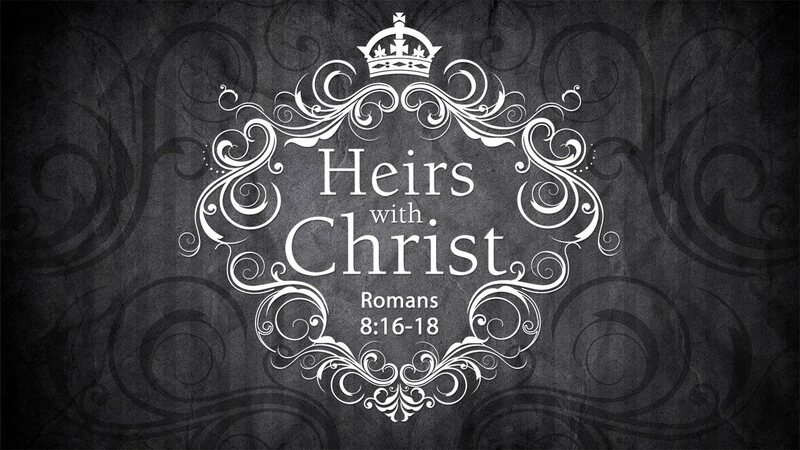 We have become children of God, and since we’re His children, He has made us His heirs. Romans 8 states that those who live according to the flesh have their minds set on what the flesh desires; but those who live in accordance with the Spirit have their minds set on what the Spirit desires. The mind governed by the flesh is death, but the mind governed by the Spirit is life and peace. The mind governed by the flesh is hostile to God; it does not submit to God’s law, nor can it do so. Those who are in the realm of the flesh cannot please God. But it is also written in Romans 8 that when we became Children of God, we’re no longer subject to the sinful nature. Paul went on to write that God causes everything to work together for the good of those who love God and are called according to His purpose. Even before we were born, God already knew us and He chose us to become like his Son. In Christ, we are in right standing with God. And along with this right standing also comes His glory. The congregation being led to pray for one another. How should a Christian respond then? Because we belong to God, the life-giving Spirit has freed us from the power of sin that leads to death. God did what the Law could not do (Romans 8:3). Letting the Spirit take control leads to life and peace. As Christians, we are now to live a life in the Spirit. We need to anchor ourselves in the Lord and disciple the younger generation into possessing this assurance for themselves. NOTE: This is a reportage of PenHOP’s Pr Josh Yeoh’s visit to Kajang Assembly of God. It is not intended to be a presentation of a complete message. It has not been vetted by Pr Josh or Kajang Assembly of God. GOD and us—how should we measure up to Him?